Management | MSP Data Systems Inc.
Shaukat Parpia, is an entrepreneur who started his first IT business in Tanzania at the age of 20. This was back in 1998, since migrating to the US in 2001 he has worked with various companies until eventually founded MSP in 2005. 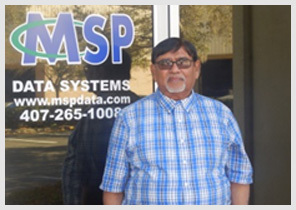 Under his leadership the company has grown from a small operation to a large 25,000 sq ft. facility and continues to expand.. With 17 years’ experience in IT business Shaukat is poised to get MSP to the next level. Habib Manji has been with MSP since its inception in 2005, prior to that he worked with various companies in Tanzania and has over 30 years experience in accounting. 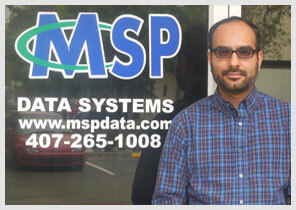 Habib manages the day to day financial and tax procedures of MSP. He also assists with the human resource and makes sure we are in compliance with the state labor laws. David Weaver has been with MSP since 2008, prior to working with MSP he was the operations manager for 10 year for one of the largest guitar companies in the world. David is in charge of managing all the aspects of the warehouse including inventory control, receiving and shipping. He makes sure that the efficiency in the warehouse is maintained at all times. Kassim is in charge of overseeing our facility operations, he’s also in charge of maintaining the building and ensuring that we are in compliance with the city. As a civil engineer by profession with over 30 years experience in building he’s aware of all the safety and security aspects of our location.